Placement from the Heart is a local birth parent support group providing peer support and mentoring to all birth parents. We have tailored made events for any individual that has been touched by adoption placement. One of our most successful on-going events is our “Girls Day Out” luncheon. If you are looking for a group of women who understand how you are feeling, Placement from the Heart is for you. Adoption minded women, women who are in the middle of their adoption plan and women that have placed their child are invited to come and share a relaxed afternoon of good food and conversation. “Nothing is off limits,” you will hear us talk about everything from morning sickness to new hairstyles! You can be yourself, just sit back and listen or jump in and ask a question. Our “Girls Day Out” lunches are fun, judgment free and we hope you join us. Read what some of our members have to say about their experience at a “Girls Day Out” luncheon. Another way we celebrate and honor our birth parents is with our family friendly barbecues. These events welcome the entire family to spend an afternoon of swimming, eating and visiting in a cozy, private setting. Everyone gets to re-connect and just enjoy each others company. It is a fun way to spend an afternoon. To find out more about Placement from the Heart Support Group, click here for answers to many of your questions! Join our Facebook page and also take some time and visit BraveLove. 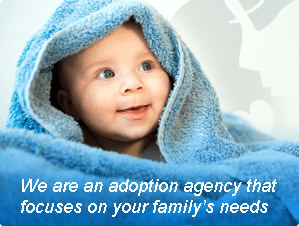 This site is dedicated to promoting adoption and acknowledging the brave decision a birth mother faces when making an adoption plan. WITHOUT BIRTH PARENTS THERE WOULD BE NO ADOPTION…..
Has adoption touched your heart? Do you believe that placing a child for Adoption takes strength and courage? Do you believe that these unselfish parents deserve our respect and support? If your answer is “YES” to any of these questions, click here to find out how you can make a difference! Shop & support adoption with Origami Owl…the perfect gift! Click here for more information…..
Help out by donating today!